Real Madrid will travel to Amsterdam to take on AFC Ajax at the Johan Cruijff ArenA looking to get a result on Wednesday night. The Galacticos managed to claim a comfortable 3-1 win over Atletico Madrid last weekend which would give them some much-needed confidence boost heading into this clash. Both sides are currently playing some of their best football of this campaign which makes this encounter a fascinating contest between two of Europe’s most successful teams. Santiago Solari might opt for a 4-3-3 formation for this match with Gareth Bale set to get a start up top. Thibaut Courtois will feature as Solari’s first-choice keeper despite failing to keep a clean sheet against Atletico Madrid last weekend. Sergio Ramos is a definite starter at the back alongside Raphael Varane, and the defensive duo would hope that they can cope with the threat of the Ajax attackers in midweek. Dani Carvajal will continue to play at the right back position while Sergio Reguilón operates on the other side as the left-back. It won’t be easy for the Galacticos to earn a shut-out away at the Johan Cruijff ArenA so the Madrid defenders shouldn’t get complacent and focus on keeping things tight at the back in this midweek encounter. Solari could opt to start with Toni Kroos, Casemiro and Luka Modric at the centre of the park. All three midfielders have established themselves as regular first-team starters under Solari so they will be responsible for establishing Los Blancos’ dominance in midfield. Dani Ceballos will be a part of the Madrid bench and could come on to make an impact in the second half. The Madrid attack would be comprised of Vinícius Júnior, Karim Benzema and Gareth Bale. They are all expected to lead the charge against a solid Ajax defence that has conceded just five goals in six European matches so far this season. However, Bale got his name on the scoresheet in the Madrid derby which is why the Welshman might fancy his chances of finding the back of the net on Wednesday night. Marco Asensio and Lucas Vasquez should be available on Solari’s bench and might come on during the match if required. Tottenham Hotspur In Race To Sign This French Midfielder: Why Pochettino Needs To Pull This Off? Liverpool Eyeing A Summer Move For This Championship Winger: One For The Future? Barcelona Interested In Son Of Club Legend: Where Does He Fit Into Valverde’s Plans? 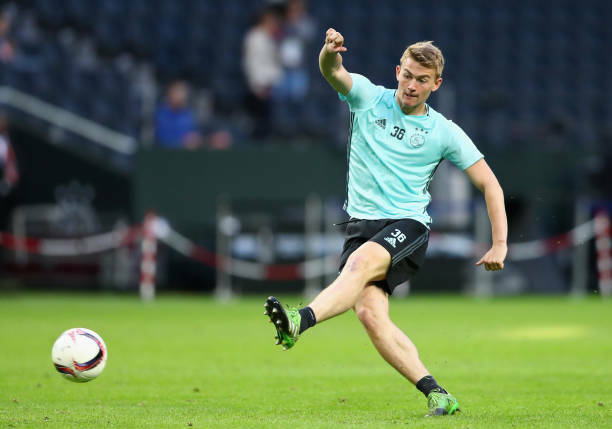 Manchester United Considering January Move For 18 Y/O Dutch Wonderkid: One For The Future? Exciting Swedish Striker At Brighton And Hove Touted To Have A Bright Future: The Next Ibrahimović? Barcelona Eyeing A Summer Move For 18 Y/O Dutch Defender: The Right Choice For The Catalans? Arsenal Interested in Highly Rated Dutch Defender: Why Wenger Needs To Get It Done!